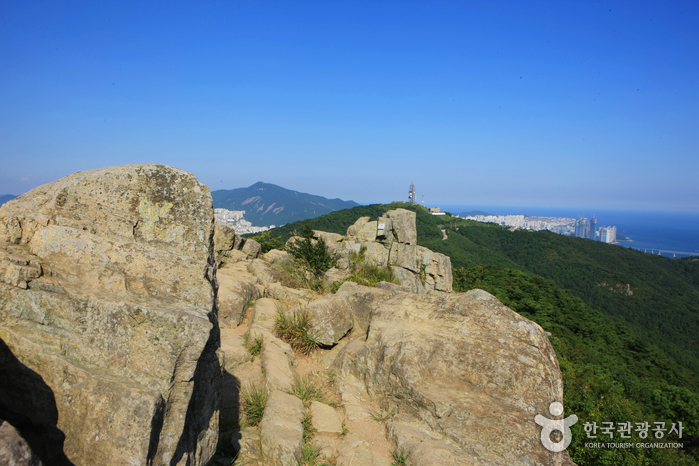 Hwangnyeongsan Mountain is located in the heart of Busan and stretches across Busanjin-gu, Nam-gu, and Suyeong-gu Districts. 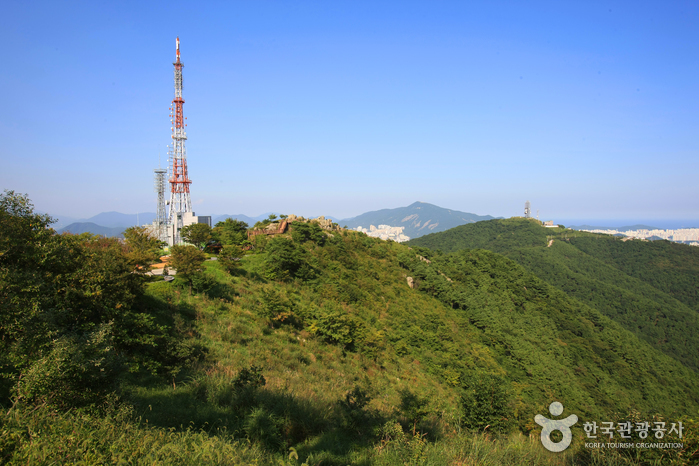 With an altitude of 427m, the mountain is the second highest mountain in the Geumnyeon Mountain Range. The mountain is mostly made up of andesite and the summit is relatively flat. Some parts of the mountain are also characterized by exposed bedrocks. The northeast part of Hwangnyeongsan Mountain is connected to Geumnyeonsan Mountain. Because of its geologic age, the terrain has been dissected by river valleys, resulting in less sharp surfaces. Several smaller hills and ridges can also be found scattered around the area. 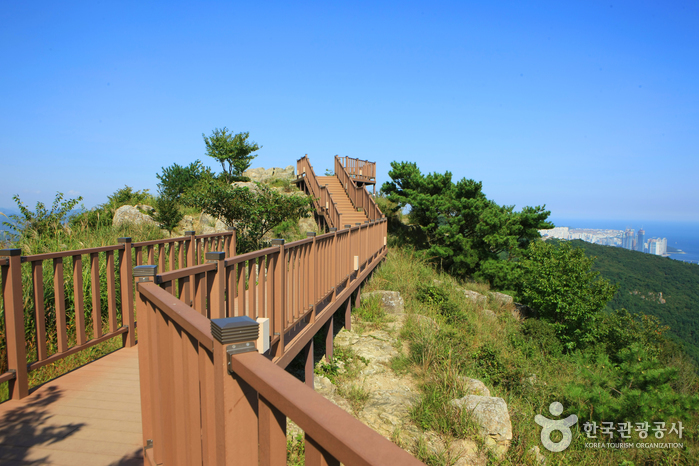 Hwangnyeongsan Mountain isn’t very high so it only takes about two to three hours to get to the top. At the foot of the mountain, one can find a citizen’s recreation area and a youth training center. Choosing which mountain trail to take depends on the transportation options available to you. 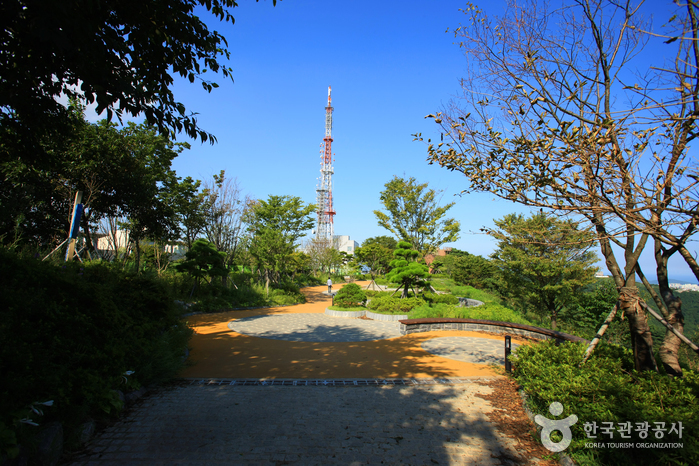 The bongsudae (beacon fire station) constructed on top of the mountain was an important means of communication for the military in 1422. This bongsudae was used to communicate with the bongsudae on Haeundae’s Ganbiosan Mountain (east), Gubongsan Mountain (west), and Beomeosa Temple and Gyemyeongsan Mountain (north). 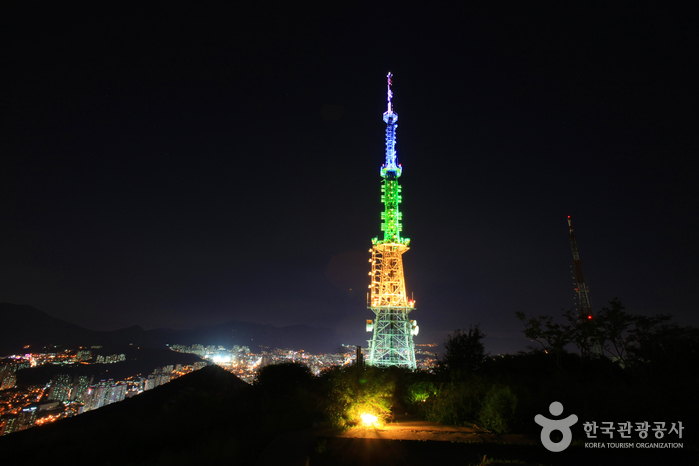 Every year, events such as the sansinje (ritual for the mountain god) and the beacon lighting ceremony are held on Hwangnyeongsan Mountain.